- Table time duration in place. First seating guests' will have up to 30 minutes prior to first pitch in order to accommodate the 2nd seating. Very limited menu selection. But food was good. Just need more variety. Service was quick and friendly. Not real crowded, but it was a Wednesday ballgame. Great view of the field and the action. 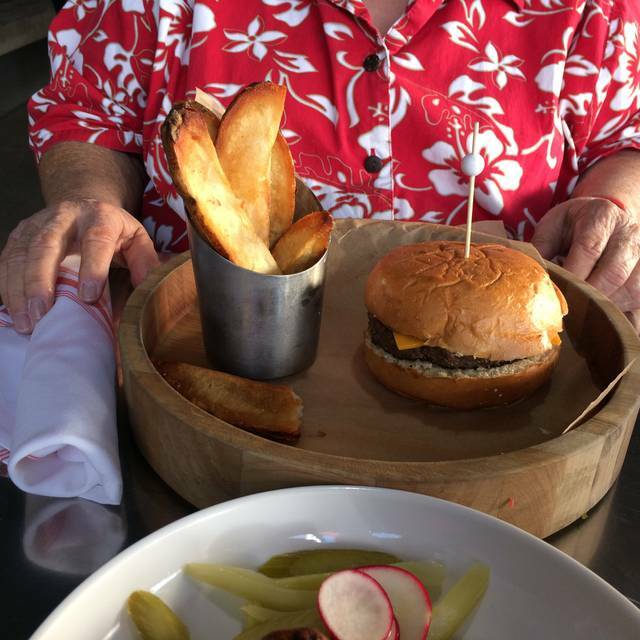 We had the meatball sliders, Caesar salad and hamburger. All were delicious and prepared perfectly. We were envious of the tables near us because their food looked fantastic too. Great beer choices. The Saint Archer Blonde Ale was our favorite. 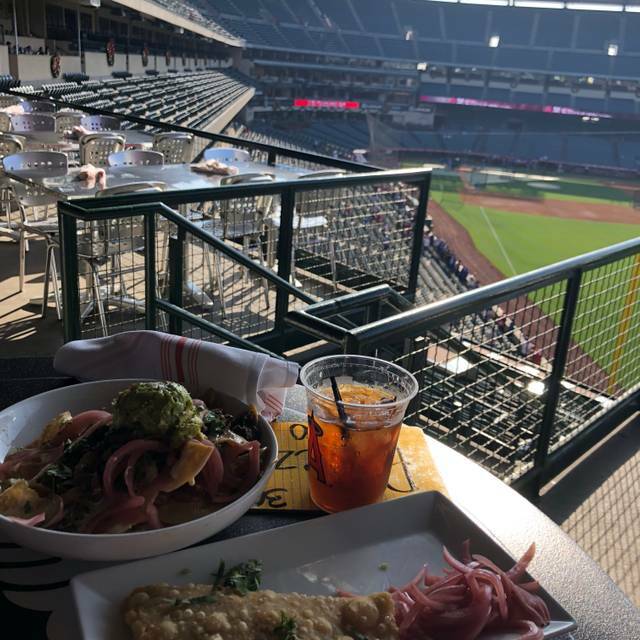 All in all it was a wonderful way to enjoy both dinner and a ballgame at the same time. My girlfriends and I go every year - this is the 6th year - for a fun activity. Thank you! See you again. Always a good time. Always overly expensive, but you know what you are getting going in there. Thank you again! Food is good but a bit overpriced. But it is at the stadium so it's expected. Overall a good experience. I love this venue! Have eaten here many times. 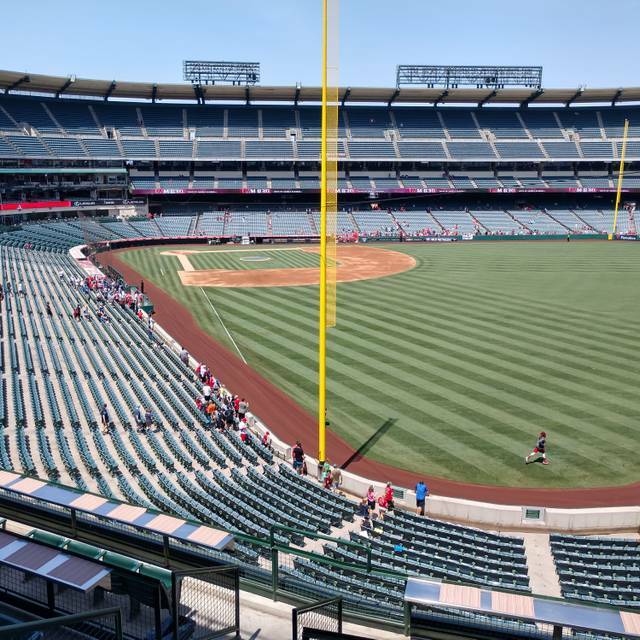 It is extremely exciting to watch the Angels game from your own private table. However, the food this year has been terrible. We ordered a pretzel appetizer which came out cold and hard, the 3 dipping sauces were all crusted over like they had been sitting out for hours. We also ordered the ice cream sandwich trio dessert. The ice cream was melted and running all over the plate. We cut the sandwiches in half to share, and the little remaining ice cream that was left squirted out onto the plate. I'm so disappointed in the food quality, we won't be making reservations again this season. 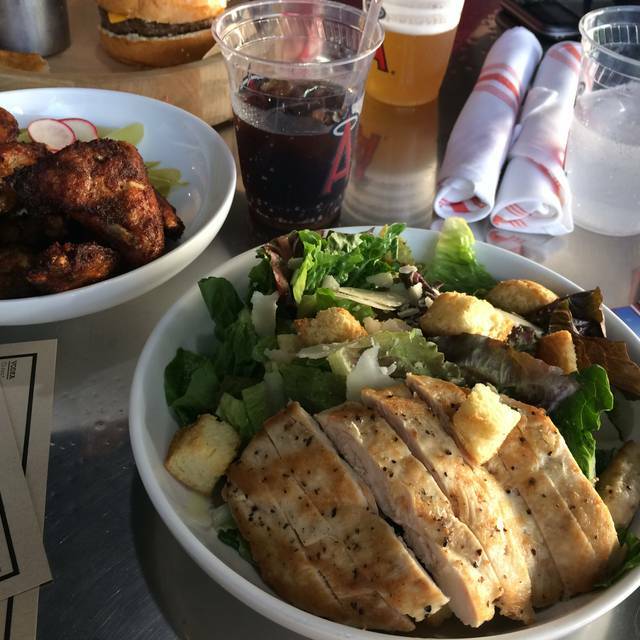 Great food, great beer, great service. Would definitely visit again. I love it! This is was my 2nd time there this season, and look forward to more! 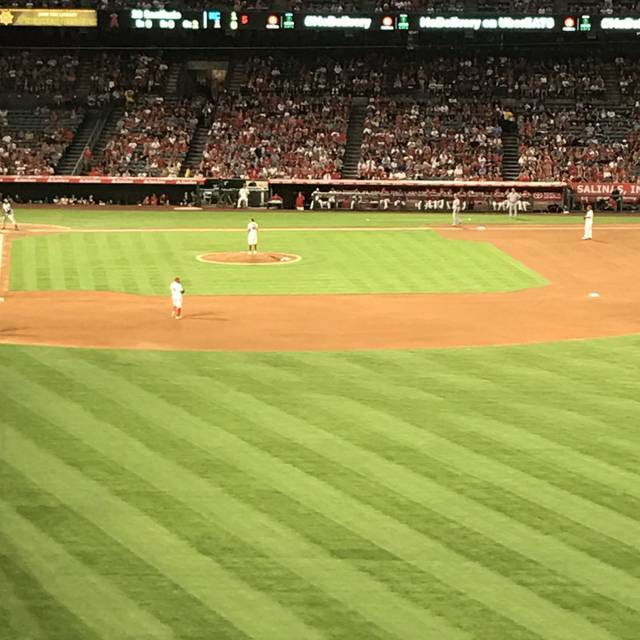 Go Angels! The food use to be great, but quality has depleted. Salad selections are poor and we had a flat bread that was more like focaccia. Our Banana Split took 30 minutes while everyone else’s regular meals got there before we got a desert. And we still had to pay full price for the desert. The staff was fantastic. Yep menu selection was limited and expensive. Server Dani (female) was fantastic!! Overall it was a great experience! Wish they had more food choices but what they had was pretty good. Service was excellent! Wish it was accessible from both sides of the stadium! Will definitely do it again! If you enjoy paying entirely too much money for really small portions... this is your place! The fiod was not great overall. The braised shortribs had amazing flavor, but way too fatty. The vegetarian flat bread pizza was not flat bread at all. It was thick & airy like a piece of garlic bread. We were really excited about eating here, now we can say we’ve done it but we won’t go back . There were a couple of TVs closest to us that we’re not working, so we couldn’t see the replays. But hopefully that’ll be fixed once the season starts. The service was great, beer was cold and the food was delicious! Service was terrible. 20 minutes after being seated we had to track someone down to take our drink order. 35 mins to be told they didn’t have the drinks we ordered. Got up and left. Very disappointed. I would recommend this place to a friend with caution! I've been going here for years under different ownership and this is the worse food of any of the other restaurants in this spot! And it seems like the food offerings get worse every season. You really need to work on your menu. Spot have all those unusual dish and make it simple! It's a ball park not 5th ave! Justin our server was attentive, and he anticipated our needs well by refilling sodas and water cups several times. The food was definitely a step above regular ballpark food. Our experience was great. We had a quality nacho, cheesesteak sandwich, and salad. One noticeable thing was that the varieties of beer with a higher alcohol content were served in smaller sized cups. As a season seat holder for over 15 years, we have dined in this location during almost every game. We like the food options and offerings much better when it was the Knothole Club. The food far surpassed anything we have had it when it became Saint archer’s brewing company. I can’t tell you how many times we have ordered coffee and had it served cold and probably hours old. It was horrible. We know almost every waiter and every usher so we usually get good service but there have been times when they had new people and the service was horrible. If they don’t make drastic changes next year, we will have to find another place in the Stadium to eat. I understand it's the end of the season. The menu was limited. The appetizers were good. Our dinner order had issues, one order omitted completely, and one order was horrible (fried fish in a bed of what I can only describe as creamed corn). The problem was the service. Our server disappeared for 10 or 20 minutes at a time and when we found him he said, "I'll be right back." It took so long we ended up getting our food to go. Time would not normally be a problem except we were in Angel's Stadium for a baseball game. We arrived an hour and 40 minutes prior to the start of the game. We missed some of the first inning because the service was so poor and slow. 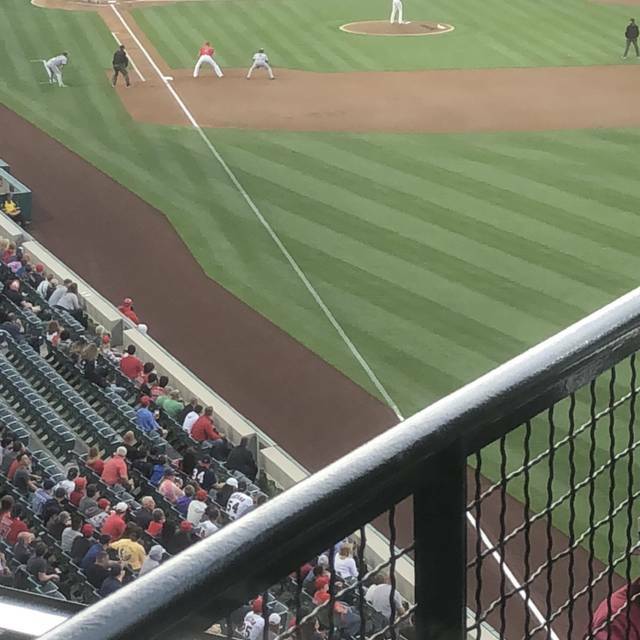 Then when we were given our dinner to go, it was cold by the time we got back around to our seats behind home plate and we were missing one dinner and another dinner was uneatable. I am disabled and did not want to have to traverse crowds on my scooter to get back to the restaurant to correct the meals of my guests. But, when I tried to reach the restaurant by phone I was put on hold for over 10 minutes the first time and 15 the second. So, I gathered up the fish with slop and maneuvered my way back to the restaurant, dealt with correcting the issue (another 15 minutes) and then maneuver back to our seats. By the time I returned my food was cold. All in all, a very bad experience. 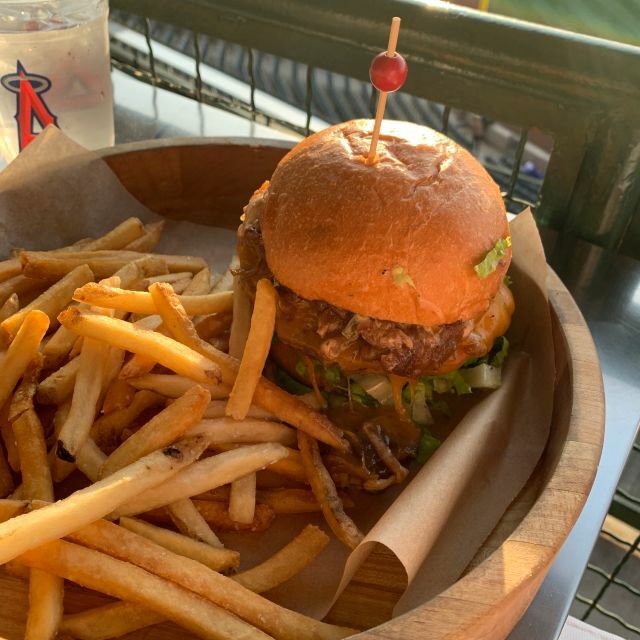 This was a dinner with my son for the next-to-the-last Angels Baseball game of the season! 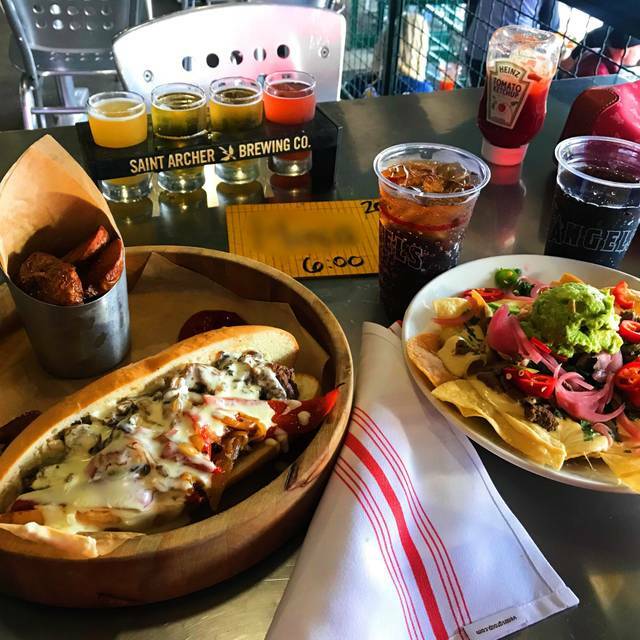 The Saint Archer Brewing Company is one of our favorite dining venues prior to the games! Looking forward to next season & enjoying dining here! Some food was great, some very much not. Expensive but if it’s good. I’m fine with that. But the cost of the steak salad we ordered was far too much for it to be impossible to cut or chew. Also came out no where near the temperature we ordered. Had a great $25 wine deal. Burger was very good- wish we had an option for fries instead of potatoes. View is great. Busseres and hostess were great. Our server left for Vacatuin and returned twice, we think. Great for watching the game, average food, nothing great but works if you are hungry. I am an Angel session seat holder & have been coming here for years. Under the Saint Archer moniker this restaurant has been terrific. I have tried most everything on the menu & everything is delicious. Obviously the beer selection has also improved with the featured Saint Archer beers. Service has also improved dramatically. Servers are attentive & food arrives quickly. Love the service everyone at the restaurant provided from the minute we walked in. Great place to watch a baseball game. Had a great time, good food. Perfect for watching the game with friends. Food was good but limited choice. Only a few appetizers and entrees. The beer options were good but all St Archers. They should provide guest taps. The service was very good, waiter was attentive and hostess was cooperative and amicable to picking a table. Good place to go before or during the Angel game. Good food, good beer. good service. Fun place to go inside Angels Stadium. Great view of the baseball game. Love this place.....eat Fantastic food and watch the game what more can you ask for!? The food was great but we never saw our server and I was in desperate need of a refill. We finally got one when we were done eating. Another fun experience at St. Archer! We enjoyed the game & though it is the end of the season and the restaurant had a much more limited menu, we were still able to find tasty things for dinner. Excellent and friendly service as always. Thanks for a wonderful night!